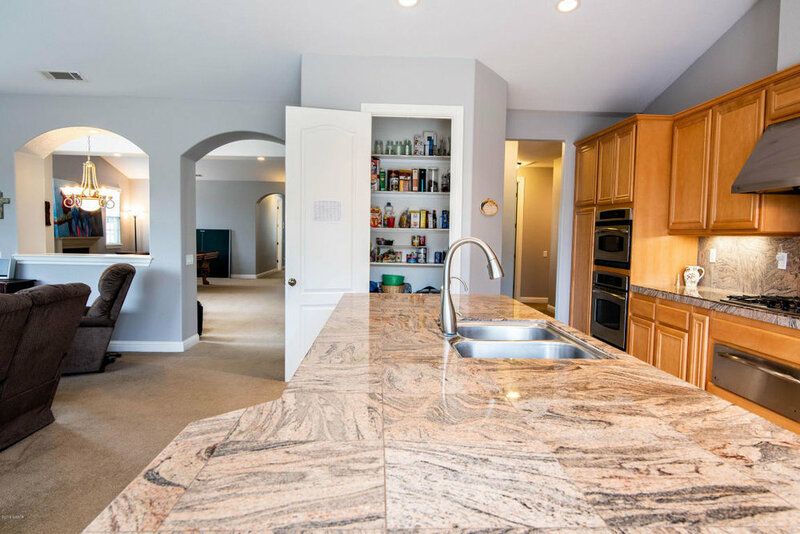 This beautiful home is nestled at the end of a quiet cul-de-sac in the desirable Bluffs development. 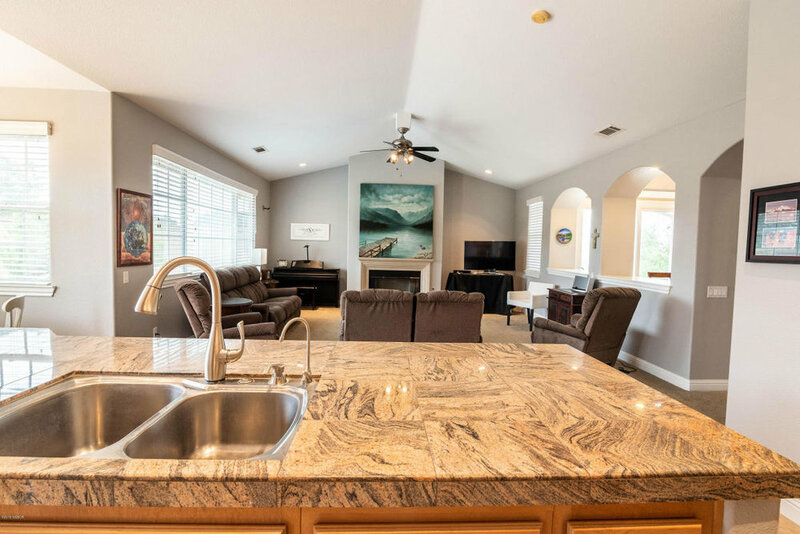 This 5 bedroom 3 bath home is over 3000 square feet. 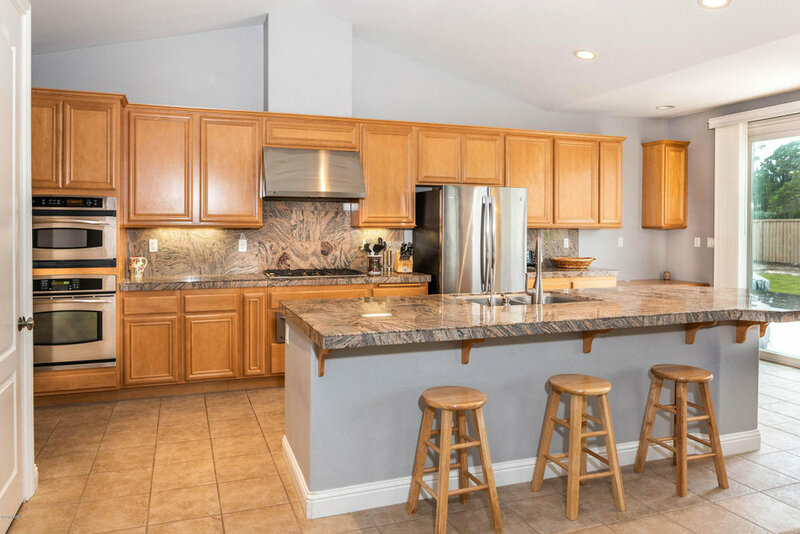 The kitchen has beautiful granite counters, a warming oven, stainless steel appliances, hidden trash cans, and is open to the large family room. There are two fireplaces, one in the family room, one in the formal living room. 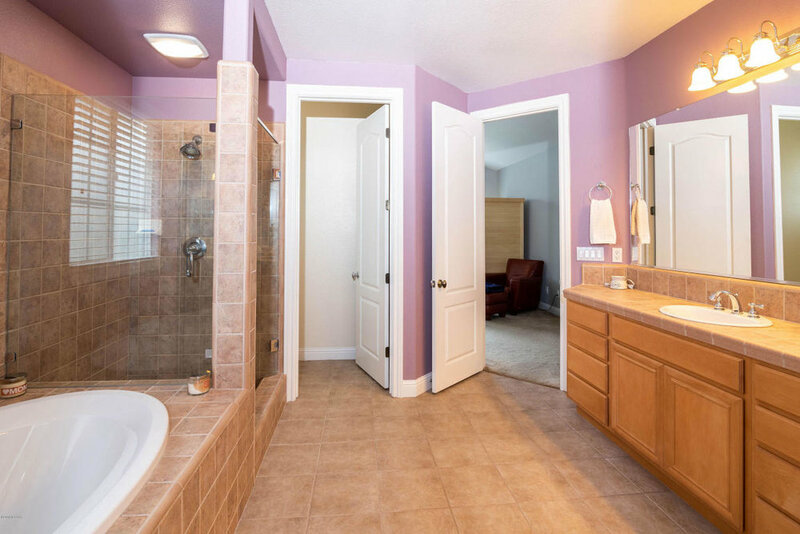 Two bedrooms at one end of the house, with a Jack and Jill bath between them. The master bedroom sits privately at the other end of the home. 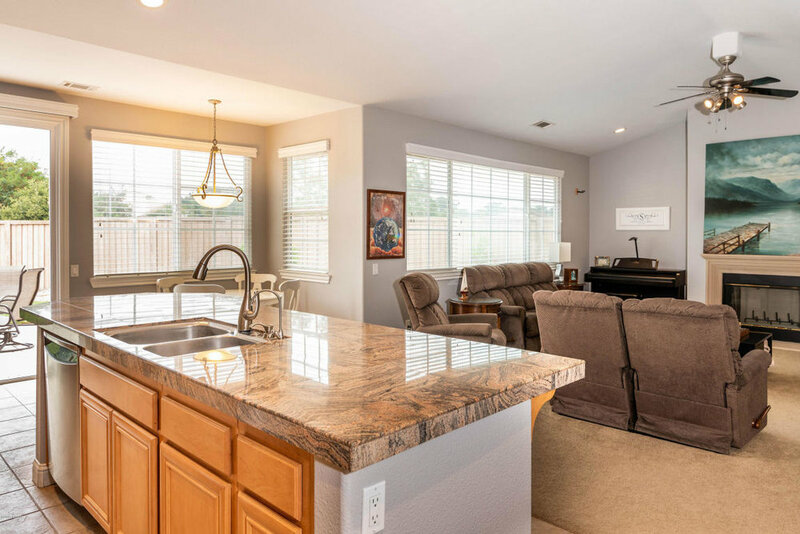 The oversized lot with very private fenced back yard has three different sliding doors leading to the back yard. Custom blinds and draperies are also included. Many fruit trees and low maintenance landscaping. Too many amenities to list.